Fallout 76’s Xbox One beta may have kicked off last week on Xbox One, but PS4 and PC owners will soon be able to join in the fun, as the beta will begin on these platforms on October 30 (tomorrow). And those playing on PC will be pleased to know that video game company Bethesda has released the system requirements for its upcoming multiplayer, post-apocalyptic game. Thankfully, these are not much more demanding than those of 2015’s entry in the franchise Fallout 4. 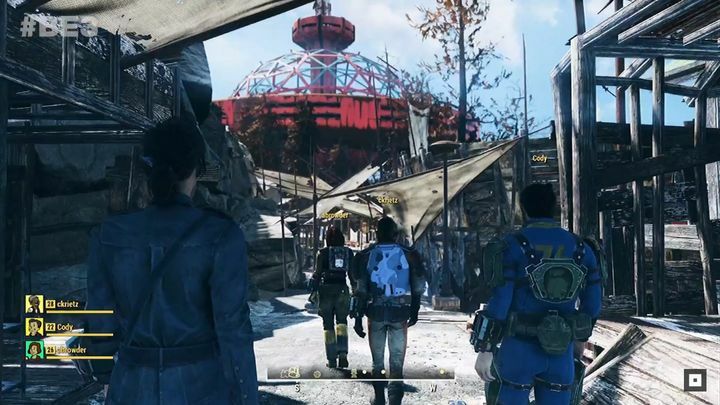 According to Bethesda, you’ll need at least 8 GB of memory in order to explore Fallout 76’s West Virginia, while an Intel Core i5-6600K or AMD Ryzen 3 1300X processor will be necessary too. Graphics card-wise, you can get by with either a Nvidia GTX 780 or AMD Radeon 285. The game still takes a beefy chunk of hard drive space, though, coming in at 60 GB. In order to have a better experience with the game, more powerful hardware will be needed, but not significantly so. Actually, the memory requirement remains at 8 GB, and either a two-gen-old GTX 970 or AMD equivalent will be enough to meet the game’s recommended requirements. You do need at least an Intel Core i7-4790 or AMD Ryzen 5 1500X if you want to enjoy Fallout 76 at its best, though. It’s a good thing, then, that Fallout 76’s system requirements are on the reasonable side, as this game clearly is a bold experiment for Bethesda. Aside from the fact that this won’t be launching on Steam (a sore point in many people’s eyes, no doubt), the online-only multiplayer nature of the game and emphasis on teamplay could put many off this game, as it’s a radical departure from what the Fallout series has offered to date, meaning a lack of players could be a problem in the long term. Here’s hoping, though, that Fallout 76 gets the attention it deserves and that the upcoming PC beta proves to be a success this year, if only so that Fallout fans will be happy again in 2018 too. Note: Fallout 76 will be released on November 14, 2018. The PC beta kicks off on October 30, at 4 PM PT (12 PM BST).